Home» Android | WhatsApp Tricks » **Latest Whatsapp Tricks in 2018 | How to read WhatsApp Deleted Message? Hello friends, Here we are going to talk about Whatsapp Latest tricks in 2018. 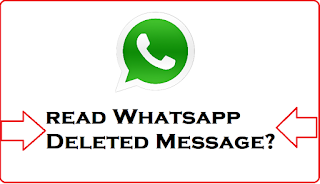 How to read WhatsApp Deleted Message? 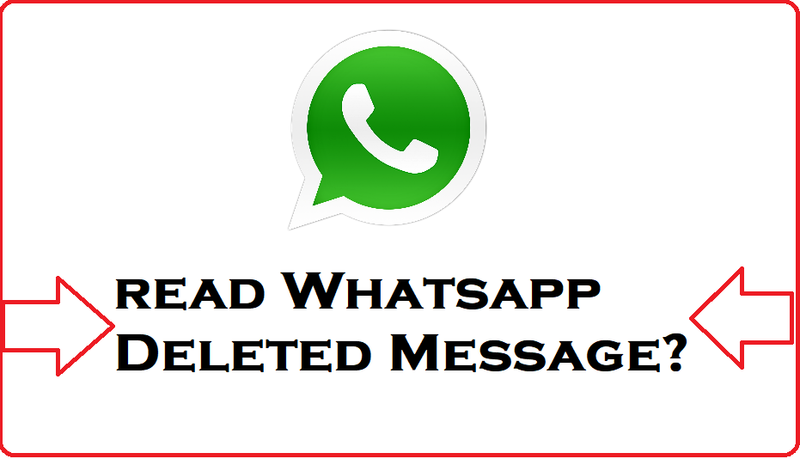 That is, if someone has sent us the message and deleted the message using the WhatsApp Delete for everyone feature. So how can you read it? For some time there was a feature update of WhatsApp, in which we were able to see the new messaging feature. According to this feature, if we send a message to someone, then we can delete that message by using Delete for everyone feature within 7 minutes of the message. If we send a message to someone, then this feature is best for us because we sent the wrong message to anyone without any notice. But if we send and delete a message, then there is a confusion in our mind. What was in the message, which he deleted. In this case if you want to know what was written in the Deleted messsage you have. So you follow these tips. And read this post to the last. 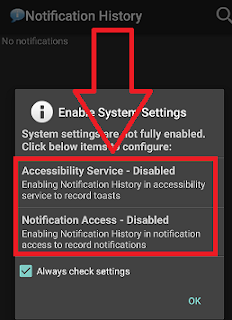 WhatsApp Latest features mostly work in Android 4.4 or above and have smartphones with Android 4.4 or higher , So if someone messages them on WhatsApp, they get a notification on locked screen. If we want, we can read this message only on the locked screen. But when the sender deletes that message. So we can not read that message through Notification. Because the default notification system is WhatsApp in our phone. But if we could save Notification before Sender deleted the message, then we could read deleted message. But in such a WhatsApp notification we will not be able to see. For this, we have to use any third party application. [WiFi Trick] How To Disable Someone's WiFi Internet Connection From Android Phone? Notification history is a third-party Android application. That does not get inbuilt from our Android, it has to download the Play Store. Now you download WhatsApp Notification History App from the link given below and install it. When we install WhatsApp Notification history app in our Smartphone. Then after that we have to enable some of the primary features and then it saves every single Notification in the phone like the WhatsApp default notification system. WhatsApp Notification history app keeps saving with date and time, whatever new notification comes in the phone. And this complete process is called the notification lock feature. In such a case, if you have deleted someone after you've sent a message on WhatsApp. So you can read the WhatsApp Notification history feature using Message. Note : Whenever we install a third-party app in our Smartphone, we have to grant System Permission according to System privacy. Granting this permission is beneficial for us and also harmful. If we talk about this WhatsApp Notification app, the biggest advantage is that we can read deleted WhatsApp message. But with this limitation of this app and lots of use it is also very damaged. Step1 : After installing App, we need to do some basic setup so that it can see the notification coming to our phone. To do this, you will have to open the App and enable notification by going to Setting. Step2 : After activating the feature, setup of the WhatsApp notification history app will be completed. Now it will continue to save all the phone's notification. Step3 : Now, as soon as you send a message from Sender WhatsApp Account, you will delete it using the "Delete for everyone" feature. Step4 : As soon as you delete the message using this feature, this message will be deleted immediately from receiver WhatsApp account. Now if the receiver has to see the deleted message, then he will have to go to the WhatsApp Notification history App and click on the WhatsApp option. Finally now you will see all the WhatsApp notifications here. In this way you can see any deleted message.